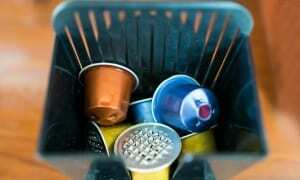 How To Defrost Your Fridge Freezer - Which? Defrosting your fridge freezer doesn't have to be a hassle. Our expert guide explains how to get the job done quickly. 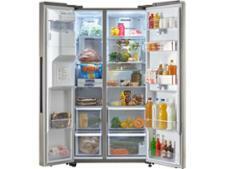 By defrosting your fridge freezer, you can improve its efficiency and clear space for extra food. Our guide on defrosting highlights some common mistakes and reveals how often the job needs doing. If you're having problems with your fridge freezer, the issue might not be a mechanical one. A fridge freezer stuffed with more ice blocks than food won't work as well as it should, which is why defrosting is so important. Many modern fridges and freezers arrive with an auto-defrost setting that can save you some time, but older alternatives aren't always so well-equipped. Keep scrolling for some top tips on defrosting your fridge freezer. 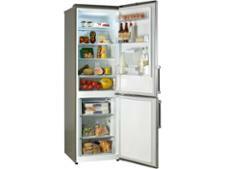 Want to see which fridge freezers are worthy of Best Buy status? 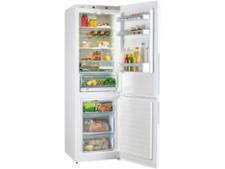 See our full range of fridge freezer reviews. Why should you defrost a fridge freezer? How often should you defrost a fridge freezer? Unlike frost-free models, static fridge freezers need to be manually defrosted occasionally. It might not be a particularly fun task, but it's an important one. For one, defrosting your fridge freezer will improve its efficiency, as thick ice blocks can limit the appliance's effectiveness at keeping your food at a specific temperature. It can help with nasty smells, too. By defrosting a fridge freezer, you'll be able to scrub down the sides of the fridge freezer that might have previously been unreachable. 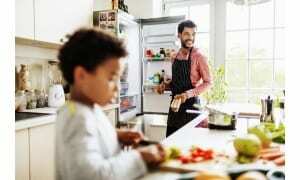 You'll be able to squeeze more food into an ice-free fridge freezer, too. If you open your fridge freezer and see chunks of ice and frost gathering in the corners of the shelves, it's a good time to defrost your fridge freezer. It makes sense to plan ahead. Knowing when you're going to get the job done means you can eat your freezer food rather than try and find a place to store it all on the day. Cleaning your freezer on a cooler day means the food you've removed will stay cold for longer. If you need a place to store food while defrosting your fridge freezer, use a cooler box. After the fridge freezer is switched off, it won't take long for the temperature to warm up, even if the door stays closed. Once you switch the appliance back on, our tests have found that the fastest models will take several hours to cool down, while the slowest models will take well over 12 hours. The first step is an obvious one - turn off your fridge freezer and let it defrost on its own. Despite what you may have read elsewhere, it's best to avoid using a hairdryer or other electrical products to speed up the process of removing ice as it poses a safety risk. 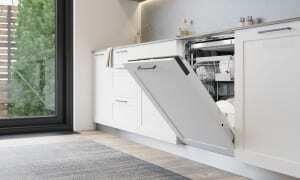 It won't come as a surprise to hear that defrosting a fridge freezer might leave your kitchen floor a little wet. Layer some towels around the base of the fridge freezer to soak it all up. If you're hammering away at an ice block at the back of your fridge freezer, make sure you don't accidentally chip the back of the freezer wall. Doing so could potentially cause the refrigerant to leak out. Don't use a sharp implement, either - try using a plastic ice scraper instead. After all of the ice has thawed, finish off by cleaning the inside of the fridge freezer with some warm water and a drop of detergent. You can wipe it clean with dry towels before you switch it back on and put your food back inside. It's time to defrost your fridge freezer when frost and ice are interfering with its normal operation. How often you need to defrost your fridge freezer can depend on its size and what type of fridge freezer you own. Obviously, fridge freezers with auto-defrost settings are easier to deal with. There are ways to defrost a fridge freezer that don't need you to turn the appliance off completely. One method involves boiling some water, pouring that water into a baking tray or pan and placing that in the freezer when it's empty. The steam from the hot water will work its way around the shelves and help to melt the ice faster. 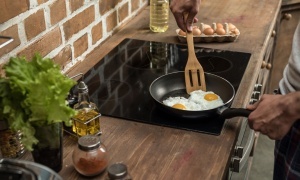 Whether you're shopping for a new freestanding, integrated or American fridge freezer, or trying to learn more about your existing appliance, our expert guides can help. To see which fridge freezer brands top our tables for test results and reliability, head over to our Which fridge freezer brand? guide. Alternatively, you can use our how to buy the best fridge freezer guide to find the perfect option for your kitchen.